THANK YOU for participating in March 2015’s MYSTERY BOX! We’re sending out a record number of boxes this month – our club keeps growing and growing! Exactly how did this month’s comics make the cut? Read below and find out! Our third Marvel Star Wars book in as many months, and this time we’ve included the awesome Action Figure Variant, which is sold out and already commanding prices of up to $10 in the aftermarket! 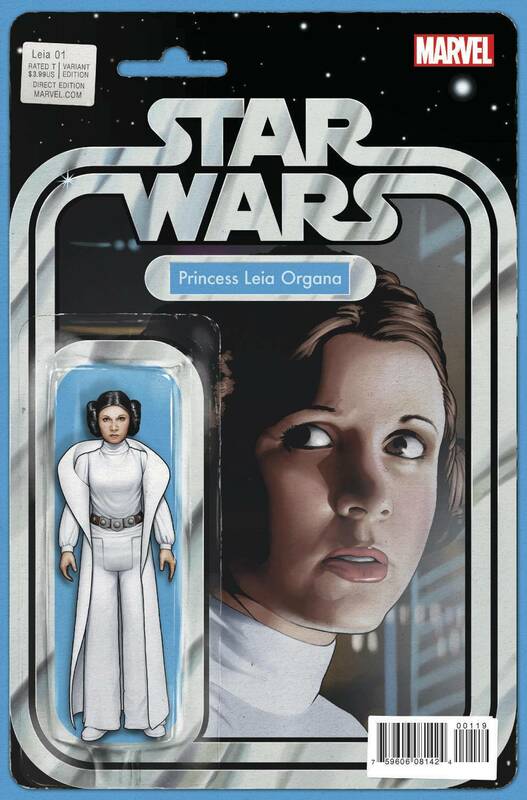 This Princess Leia series is set to be 5 issues long, and is the perfect companion for the ongoing Star Wars and Darth Vader books. Amazing writing from Jeff Lemire and beautiful water-colored panels from Dustin Nguyen make this book a true work of art! If the first issue is any indication, this is a series that we will be rushing to read each month it’s released. Sony has already optioned the movie rights to this story, which has pushed this issue past the $10 mark online! 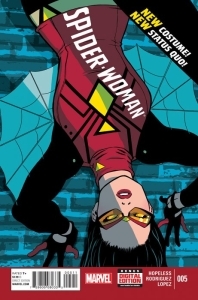 This landmark issue of Spider-Woman gives Jessica Drew an all-new hip and updated costume, which was something Marvel needed to do after the controversy of the variant cover from issue #1. The new outfit is already a hit with readers – this issue is sold out and headed for reprints! 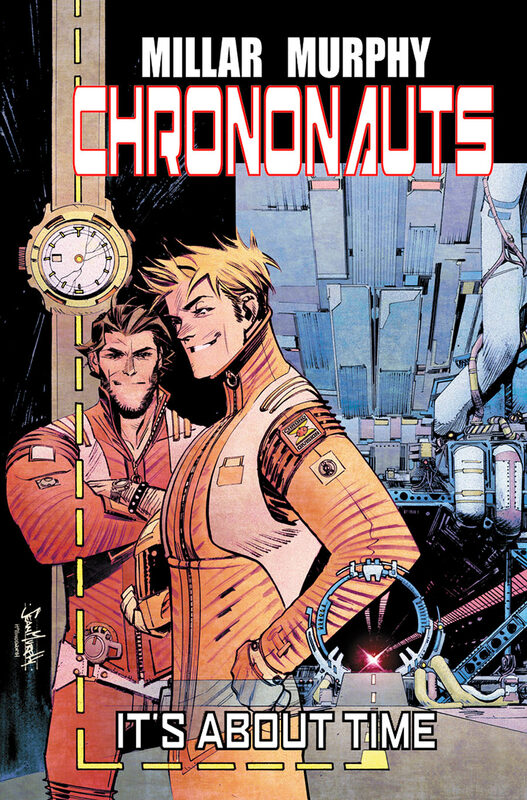 Who doesn’t love a good time travel story, especially when written by one of comics’ most prolific creators Mark Millar! 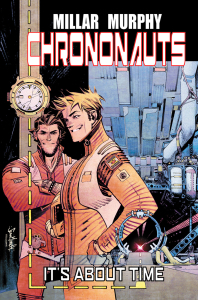 Joined by superstar artist Sean Murphy, this tells the story of the first trip through time, and like the first landing on the moon, this trip will be televised! 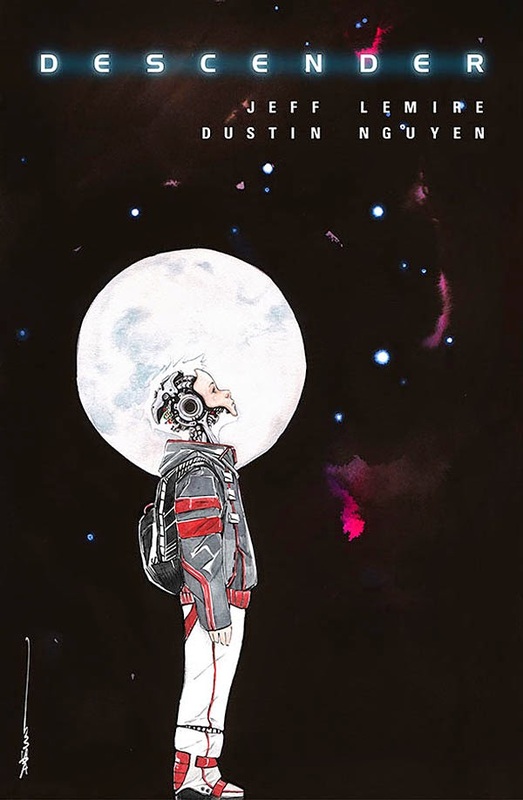 The announcement of a movie deal for this book with Universal, plus an “optical illusion” on the cover, has pushed this sold-out Sean Murphy cover as high as – wait for it – $30! WOW! 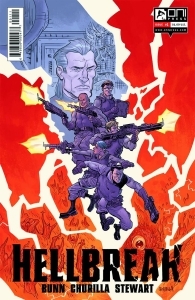 Cullen Bunn, writer for books such as Magneto, Deadpool Kills, and Sixth Gun takes us to Hell and back in this offering from Oni Press. 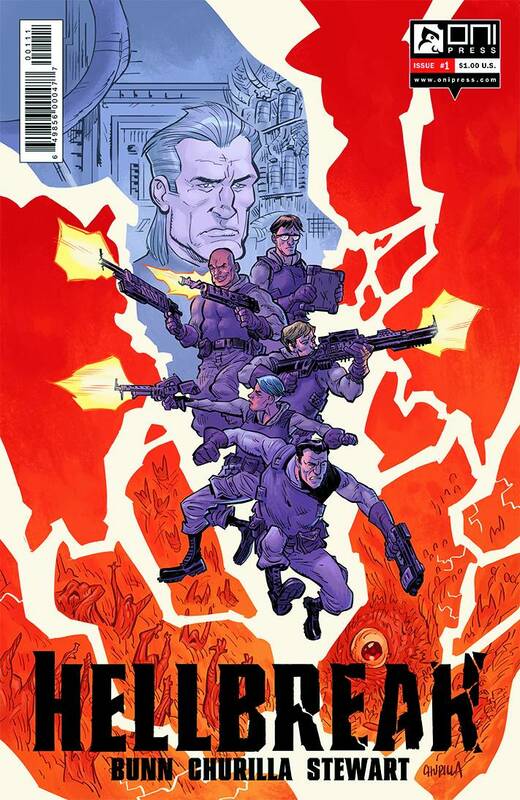 Project Keberos has been developed to break into hell, rescue lost souls, and then break back out. The book promises “thousands of hells” and we can’t wait to see how Brian Churilla visualizes that. The end of “The New 52” all begins here. Dan Jurgens gives us this Superman-centric introduction to the event where DC’s universes will collide, giving us a look back at the heroes and villains of DC’s past, present, and future. 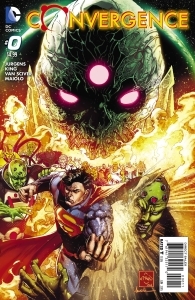 Convergence will run through the months of April and May before the publisher begins a mini-relaunch in June! Thanks for being a part of ComicBoxer. April’s mystery box is one that you DO NOT want to miss!